Looks like it is not a good time for Apple. We can now definitely say that this time, Apple is facing a lot of problems with their new iPhone 6. 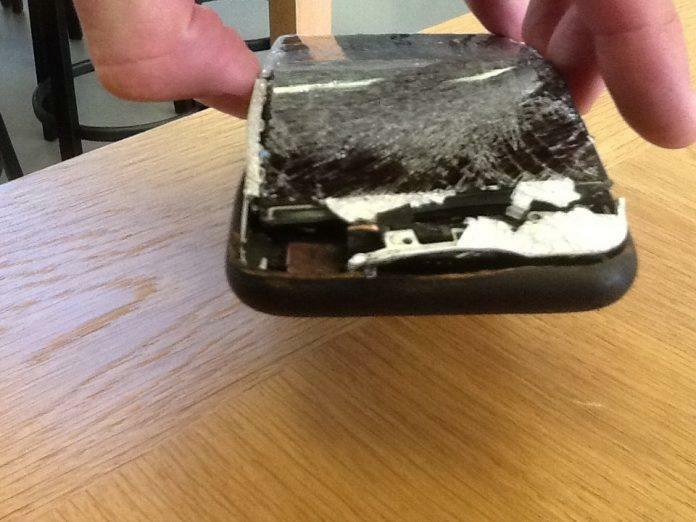 At first the BendGate and now, iPhone 6 burst in a man’s pocket. An American man, Phillip Lechter, was travelling on rickshaw. But they just met an accident and immediately the iPhone 6 burst in his pocket. He stated that we he was thrown over the vehicle he felt a burning sensation on his leg and he just threw out the iPhone. The fire had also caught his jeans, and burnt a part of the leg. A bystander also got his finger burnt in an attempt to pick up the phone, which Philip threw out of his pocket. Another man standing by put ice on the iPhone 6 to cool it down and an eye-witness captured the video when ice was being put on the phone to coll it down. Here’s the video. 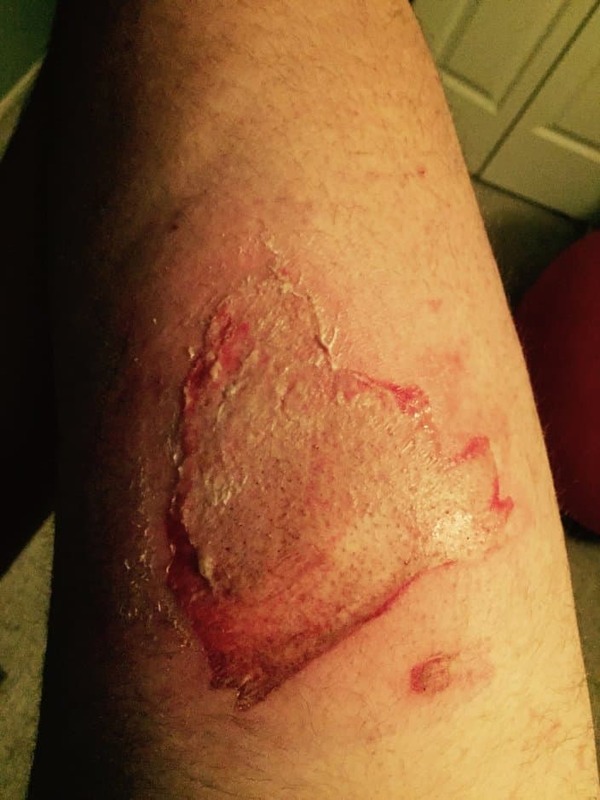 Philip was treated and the doctor found a 11.5 cm x 10.5 cm burn area on his right leg and classified the burn as 2nd degree with first degree burns surrounding the area. This is what happened to his leg. This is the first reported case of any iPhone 6 bursts, though earlier there were several such case with the older iPhones.